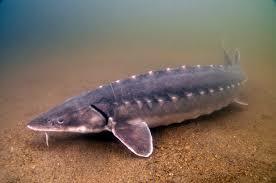 We have sturgeon in stock. One of my favourite fish and they make a great addition to your pond everybody should have at least one in their lifetime. Easy to care for as long as well fed, they are hardy and well used to our climate but will not eat algae as so many other shops will swear blind that they do….these are primarily sterlets so they wont get much bigger than 30 inches…..they diamond we have on the other hand is already that size and will continue to grow……for ever…..:-) i find a little bit of dramatics makes the day go smoother…..
We have goldfish in stock some cracking big calico ryukins……small koi for under €10. We have a marine delivery arriving tomorrow or thursday, our quest to rebuild our marine stocks is definitely on i am already compiling next weeks order so this will make it four deliveries in a row it’s just people keep buying them as they come in so it can be frustrating but a challenge ….look on the bright side Ian…. I will keep this blog as up to date as i can call up and visit always welcome to talk fish…..